Balmy weather has finally come and that means it's almost time for summer vacation travel. As those of us who do it on a regular basis know, travel can be a thrill but it's also rigorous. If the hassles of travel have got you considering a "staycation" this year, but your wanderlust is still calling, this e-notes might just be the solution to your dilemma. Grab your tablet and an ice tea, head for the deck and let these stories about Spain and Japan give you a vicarious thrill without draining your bank account. The world's most-chosen organ company might just also become your favorite travel guide! Whether you vacate or "staycate" this summer, enjoy! 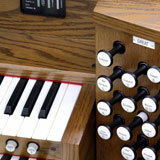 A new page has been added to the Allen Organ Company website. 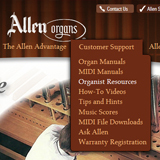 This page, entitled "Organist Resources", can be found by clicking on the "Customer Support" tab at the top of the Allen Organ Website Homepage. Organist Resources was created with the church organist in mind and offers links to the websites of companies with which Allen has partnered. 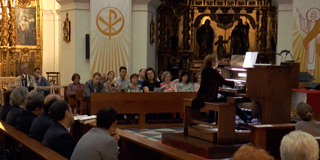 Worship Hymns for Organ, a division of Fred Bock Music Company, is the online home for the organ music of Carolyn Hamlin. Each of Carolyn's arrangements of traditional hymns can be found in the digital library, as well as the complete collection of her printed volumes. There's also a Hymn of the Month subscription available for new settings of the most beloved hymns of the Church. Allen Organ is pleased to announce that Hymn of the Month subscriptions from Worship Hymns for Organ, are now available to Allen owners at special rates. 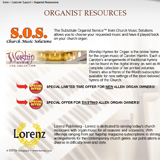 Lorenz Publishing is dedicated to serving today's church musicians with organ music for all seasons and occasions. With offerings ranging from their flagship magazine subscriptions to stirring arrangements for the contemporary church genre, the company's publications are diverse in difficulty level and style. these networking relationships and special offers! 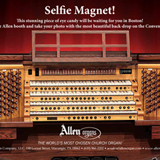 - take your "Selfie" with Allen's Q475 Classical Organ! - play the all new Allen T321Q-SP Theatre Organ! 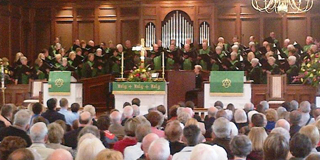 When Belin United Methodist Church in Murrells Inlet, South Carolina, realized that their 1986 two-manual organ was falling into disrepair, it was decided a new state-of-the-art digital organ was the way to go. Having long-term plans to enlarge the current building, members wanted an instrument that would handle their parish growth. 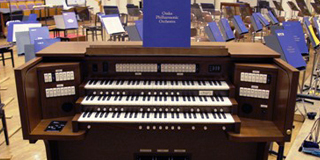 "We had been looking at Allen organs for several years, and chose a three-manual Quantum™/Custom. The entire installation has had an overwhelmingly positive reception by our congregation. "I never knew it could sound that good", is the common reaction. We included a pipe facade to not only dress up the chancel area but to satisfy our pipe organ enthusiasts. They love it and can't believe how true it sounds. In the few short months since the installation, we have been creative with the MIDI sounds. The very first Sunday we played it, everyone - even our pastor - thought we were singing to an orchestra recording. They cannot get over the flexibility and range of sounds available. The orchestral instruments not only enhance our music but allow us to have orchestrations without hiring additional musicians. 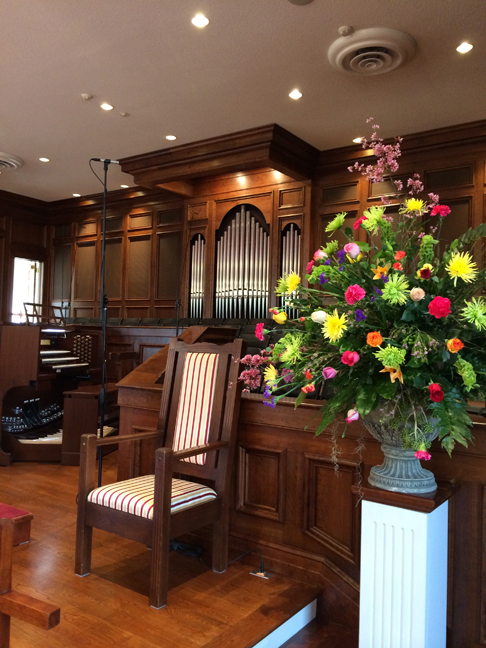 We look forward to many years of creative, vibrant sounds from our Allen Organ." The Choir at Belin UMC is vibrant with 90 choir members. They sing a variety of styles from every period of history. Jim Sellers and organist "Sissy" (Dorothy) Rogerson have been blending MIDI accompaniment using the Navigator™ every Sunday. Their pastor commented on the organ purchase that "this was one of the best things they've done." The organ has a custom stoplist, custom audio design and custom features, plus is "pipe-ready" should Belin UMC add pipes at a later date. 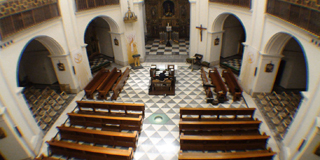 The Royal English College in Valladolid, Spain, recently installed a Three-Manual, 50 Stop Allen Quantum™/ Custom Q350 organ in its Chapel. 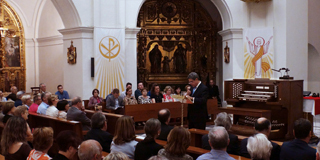 Allen's previous five Valladolid installations, including a Four-Manual, 79 Stop Organ in the Cathedral of Valladolid, and Allen's ongoing commitment to service, made the selection very easy. 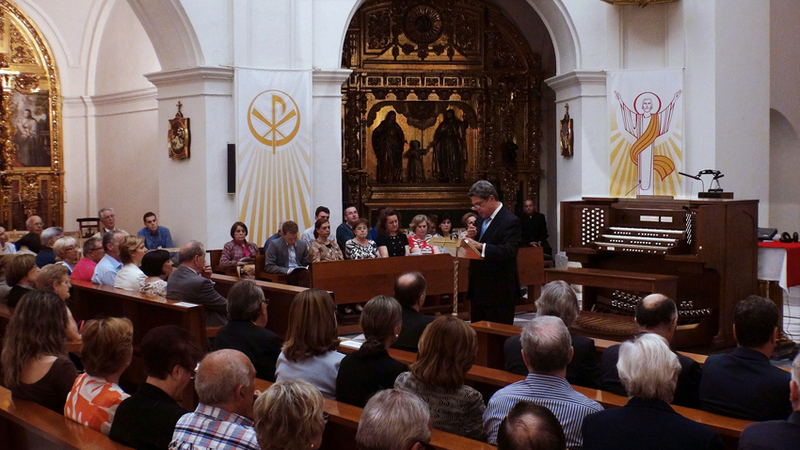 The new instrument, the sixth Allen organ installed in the city of Valladolid, replaced an older transistor-based electronic organ from the 60s. This organ boasts a wide variety of Stop Lists, such as Cavaillé-Coll, Schlicker, Arp Schnitger, Aeolian-Skinner, English Cathedral, Orchestral and Classic Allen. 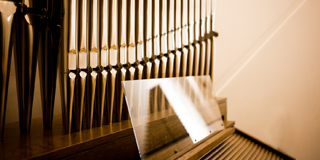 Guest organists appreciate the instrument's ability to play virtually any style of music from liturgical accompaniment to a broad spectrum of concert repertoires. The speakers are installed within three chambers under the dome of the Chapel. The left side is dedicated to the Swell, with the Pedal and Great stops in the middle. 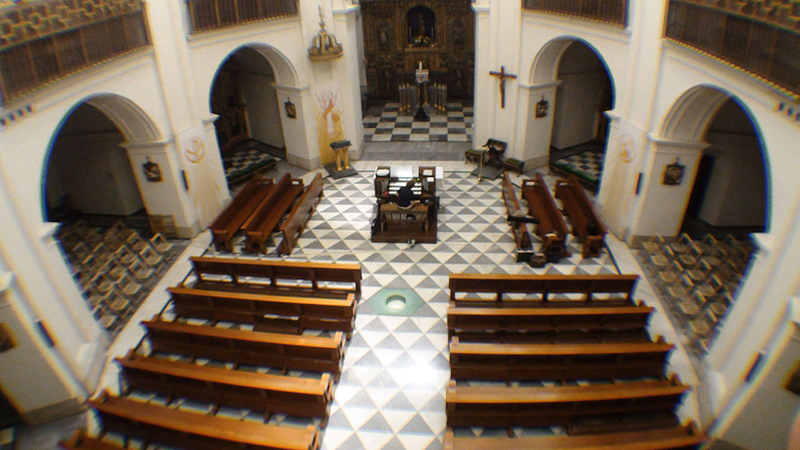 The right side houses the Choir and Festival Trumpet divisions. 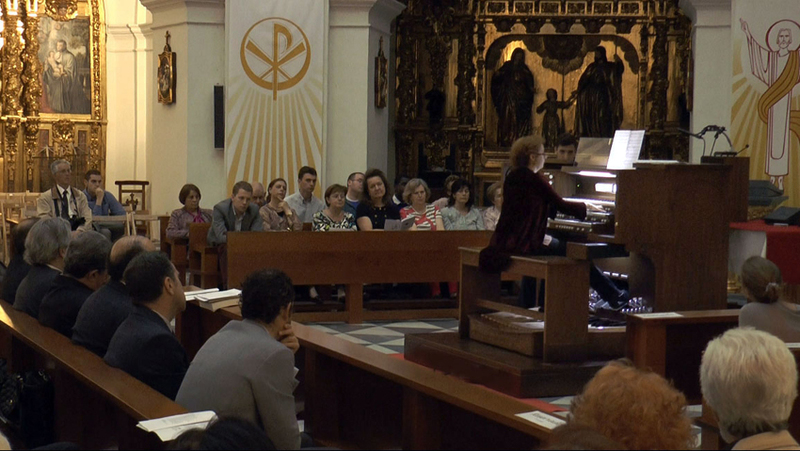 International organist Pilar Cabrera played the newly installed organ at the dedication concert held in May. 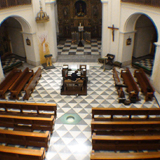 Ms. Cabrera, who also owns a Two-Manual Allen, is known for playing concerts at the Cathedral of Valladolid which attracts as many as 2000 spectators! 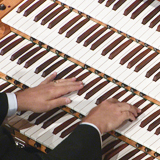 A YouTube video was created of France's Allen Organ Dealer and Organist Jean-Philippe Le Trévou playing a choral improvisation in the style of J.S. Bach using the Arp Schnitger stop list on this versatile organ. Watch as Jean-Philippe Le Trévou plays on this spectacular organ! 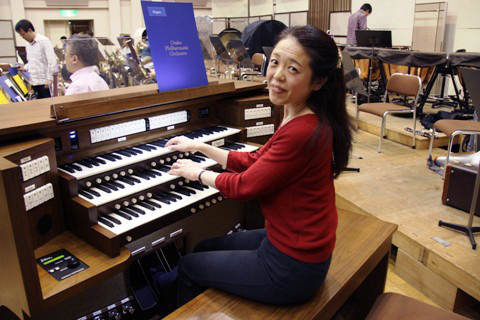 The Osaka Philharmonic Orchestra, one of western Japan's most famous professional orchestras, introduced an Allen organ in their official blog site. An Allen Bravura™ L-322 was on loan for their concert at Osaka Festival Hall. The Orchestra played "An Alpine Symphony" by Richard Strauss. "This is an Allen Organ. Allen is the global standard organ with natural and resonant sound." 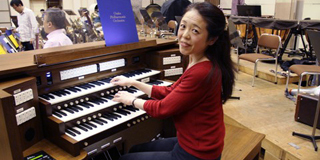 Seiko Katagiri, shown here, is the house organist of the Symphony Hall in Osaka where she plays a pipe organ. 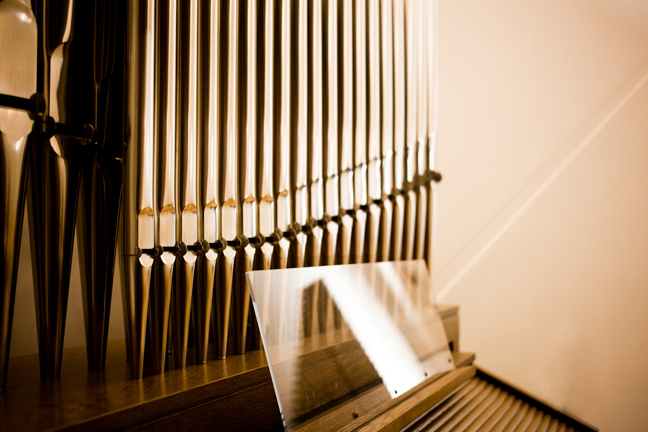 After playing the Allen digital organ at the Festival Hall she commented, "This Allen organ can create characteristic sound of the wind moving across the pipes of a real pipe organ. I can't believe this is a digital organ, because the organ has delicate delay from keying to sound, which a pipe organ has. I hope you enjoy the organ sound at the Festival Hall!" 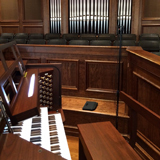 In another story from Japan, a recent Allen Organ installation might just be the "highest" Allen installation in the world. 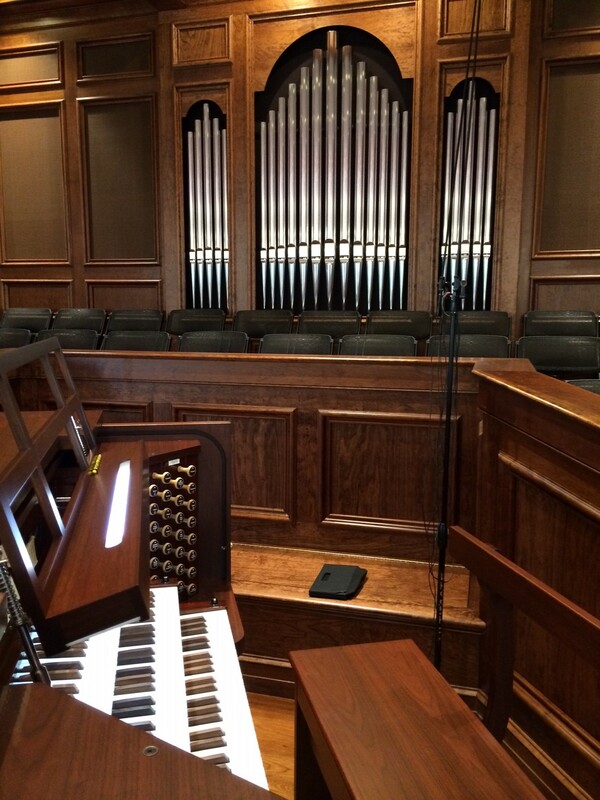 An Allen organ was recently installed in the Chapel within the Andaz Tokyo Toranomon Hills Hotel. The chapel, used for weddings, is located on the 52nd Floor overlooking Tokyo! 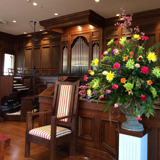 The Allen Organ Company also featured a Bravura™ L-341 with Drawknob Package as one of our recent Organ of the Week selections. 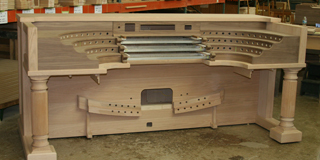 This organ will be installed within the next month at the Kobe Central Church in Kobe, Japan. As of this writing, the customer is eagerly awaiting their new Allen! World-renowned Classical Organist Carol Williams performed J.C. Kittel's "Fantasia" on the Allen Q475 organ during a live performance at Allen Organ's Octave Hall in Macungie, PA. Williams has the distinction of being the first woman appointed Civic Organist for the City of San Diego, California, performing regularly at the Spreckels Organ Pavilion. Watch Video: Classical Organist Carol Williams plays "Fantasia"
Our newly released "Suite Sounds Historique™ Historique III™" CD demonstrates the remarkable capabilities of these compact, versatile and affordable organs. Our Curved-Jamb French Terrace Console project continues its journey through the factory! 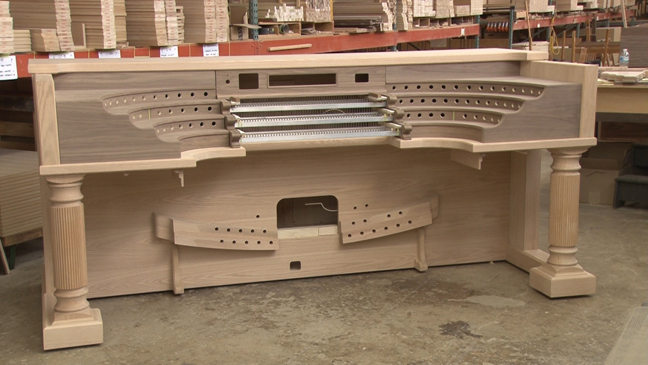 Follow the build graphics and video of how this gargantuan organ console is being constructed. Thank you all for your votes last month and for your enthusiasm! 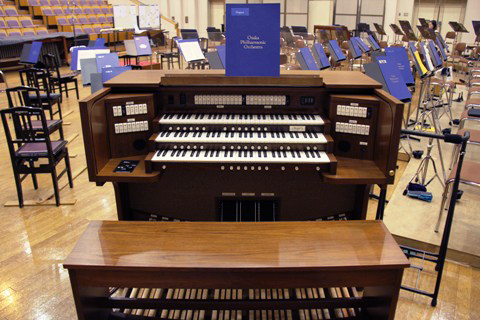 The previous Organ of the Month winner was the Heritage™ Quantum™ Walnut Finish Three-Manual. Click the link below to visit the AllenOrgan.com site for photos and more!